Water pills, or diuretics, are medicines that stimulate the body’s excretion of fluid and electrolytes. Electrolytes are electrically charged molecules import for the body’s fluid balance. Important electrolytes include sodium and potassium. Diuretics work by making the kidneys excrete more sodium into the urine, which then increases the amount of water flowing out of the body. One of the consequences of diuretic use is dehydration. The main use of water pills is controlling high blood pressure. By decreasing the amount of fluid in the body, diuretics help the heart beat easier, requiring less pressure to pump blood around the body. According to Medline Plus, another use for diuretics is in the treatment of congestive heart failure. In this condition, the heart is unable to pump blood efficiently, resulting in pooling of fluid in the lungs and the tissues. This can cause difficulty breathing and cough. Diuretics help excrete the extra fluid, facilitating the heart’s work. Excess use of diuretics can cause too much fluid to leave the body in the urine, which can result in dehydration. 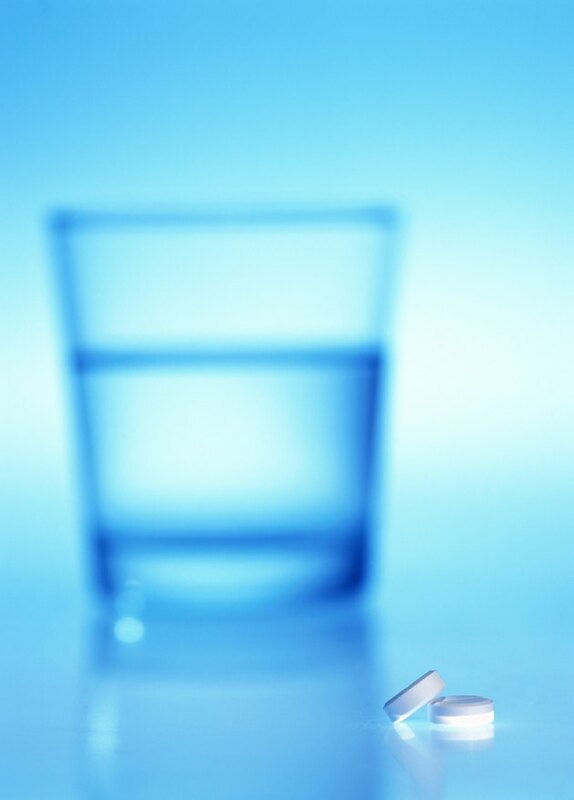 The symptoms of dehydration due to water pills include decreasing amounts of urine despite the diuretic effect, increased thirst and dry lips and mucous membranes. According to the Merck Manual, as the dehydration worsens, the skin becomes dry, sweating decreases and the person can experience dizziness, loss of the sense of balance and loss of consciousness. Severe dehydration can lead to damage of internal organs like the kidneys, liver and brain. The initial treatment of dehydration due to diuretic use starts by decreasing the dosage of the diuretic or discontinuing altogether. Intravenous fluids may be necessary to hydrate the person in a rapid fashion, especially if they are experiencing symptoms of organ damage or changes in mental status. Slow correction of electrolyte balance is necessary to avoid sudden fluid shifts, which can affect the heart and the brain. Apart from dehydration, use of water pills can lead to dizziness, headaches, low sodium, muscle cramps and increase thirst. Diuretics can also cause menstrual irregularities, increased blood sugar in people with diabetes, rashes and impotence in men. Severe dehydration can lead to kidney damage, although most of the time this is temporary and the kidneys recover with adequate hydration. Brain swelling and cardiac arrhythmias can result from sudden changes in fluid and electrolyte levels.